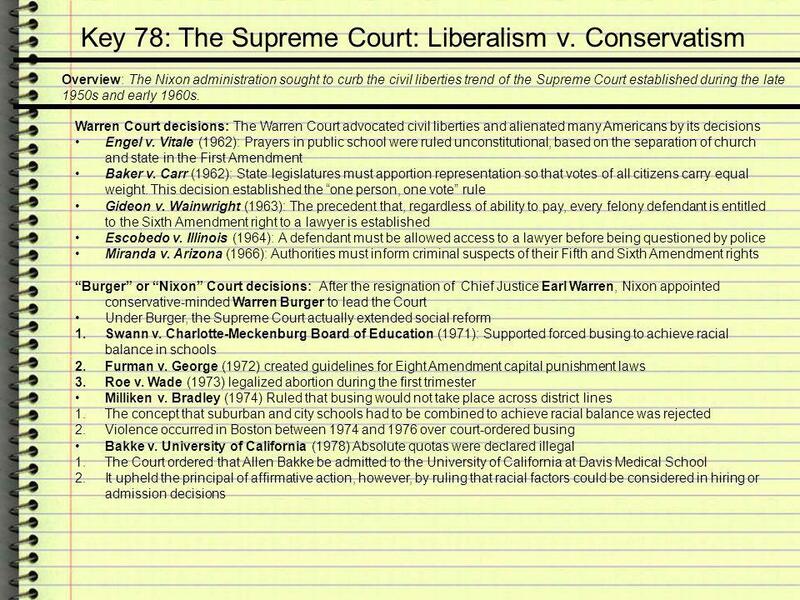 APUSH REVIEW 1968 Election, Nixon’s Domestic Policy, Supreme Court: Liberalism v. Conservatism, Nixon & Vietnam, Foreign Policy Under Nixon, Watergate. 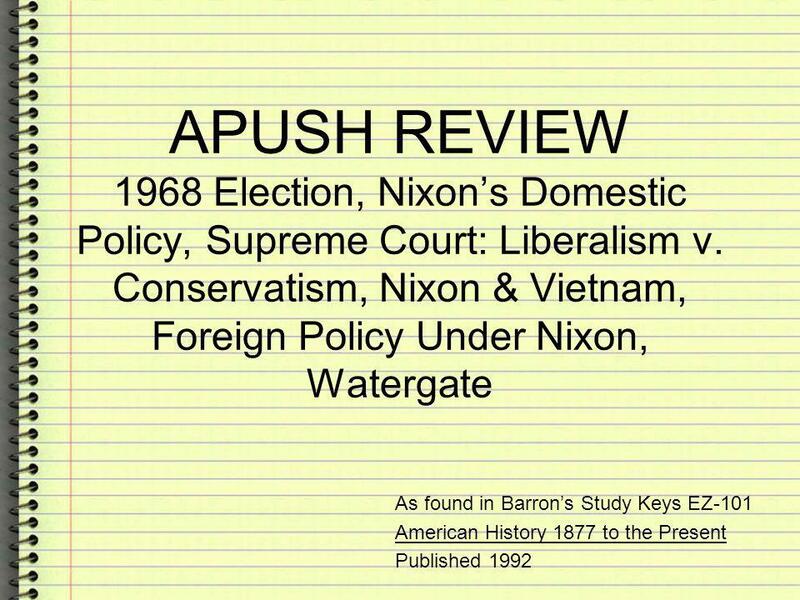 Download ppt "APUSH REVIEW 1968 Election, Nixon’s Domestic Policy, Supreme Court: Liberalism v. Conservatism, Nixon & Vietnam, Foreign Policy Under Nixon, Watergate." Vietnam and the 1970s, 1980s, and 1990s. 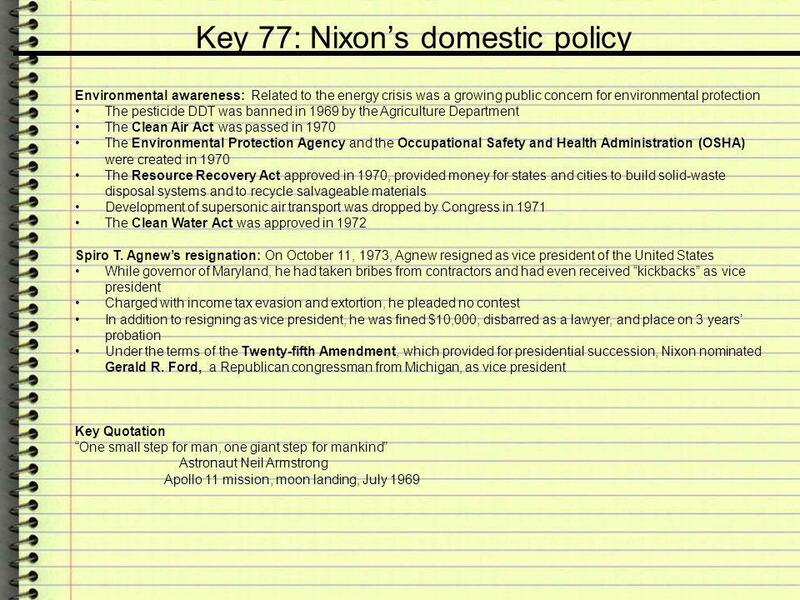 Richard M. Nixon Republican Vice Presidents: Spiro Agnew Gerald Ford Gerald Ford. Richard Nixon and the Rise of Conservatism b Kennedy -Nixon: 1960 b Richard Nixon back again! 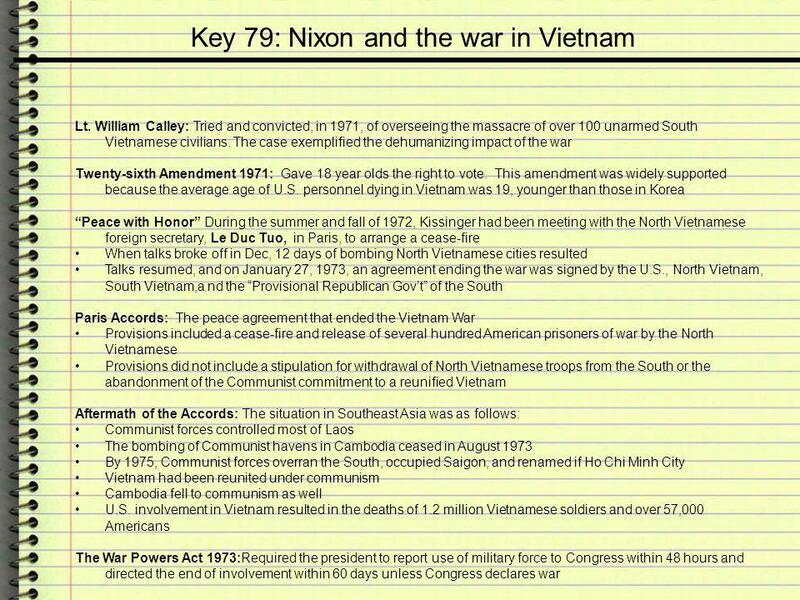 b Vietnamization of the War in SE Asia b Supressing. 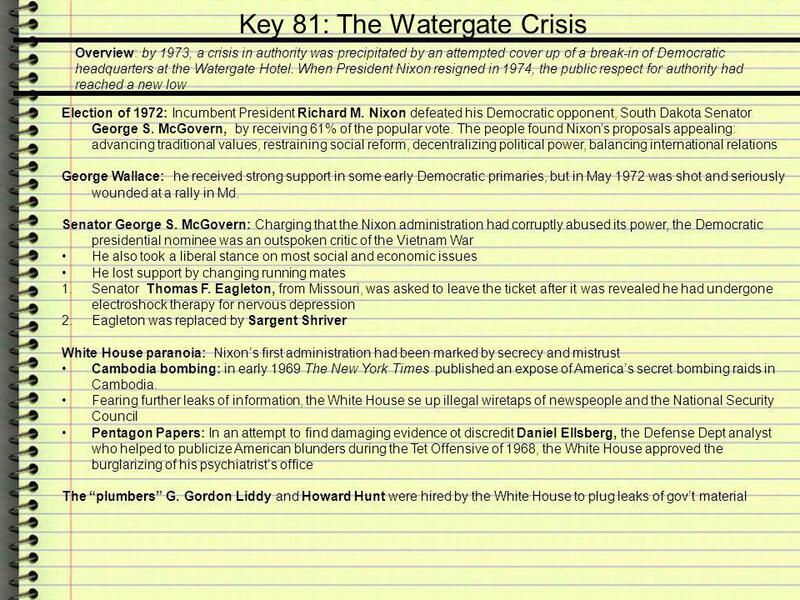 Watergate The downfall of President Richard M. Nixon. 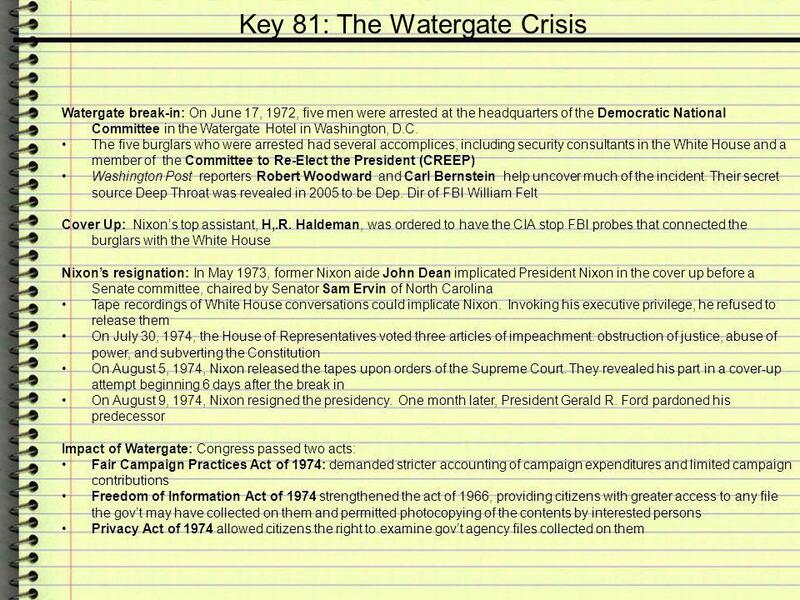 Nixon and Watergate. 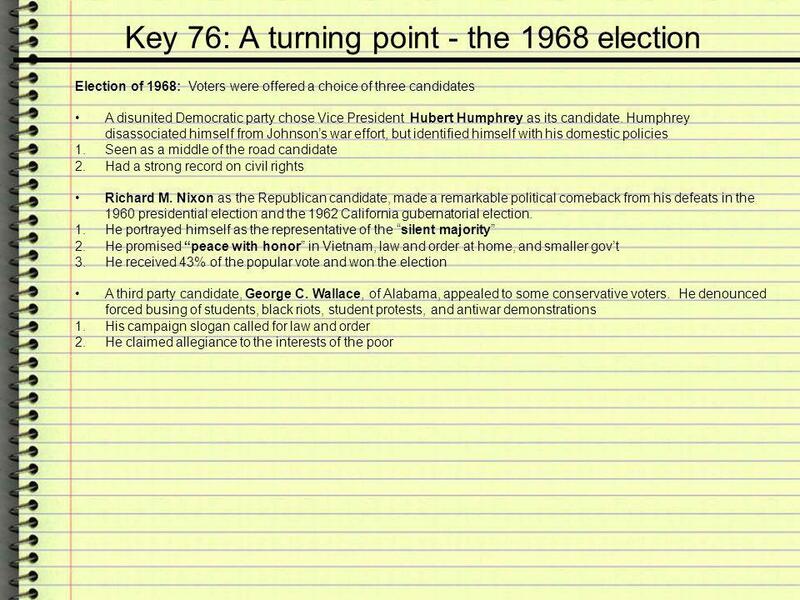 The Election of 1968 Richard Nixon narrowly won the 1968 election, but the combined total of votes for Nixon and Wallace indicated. 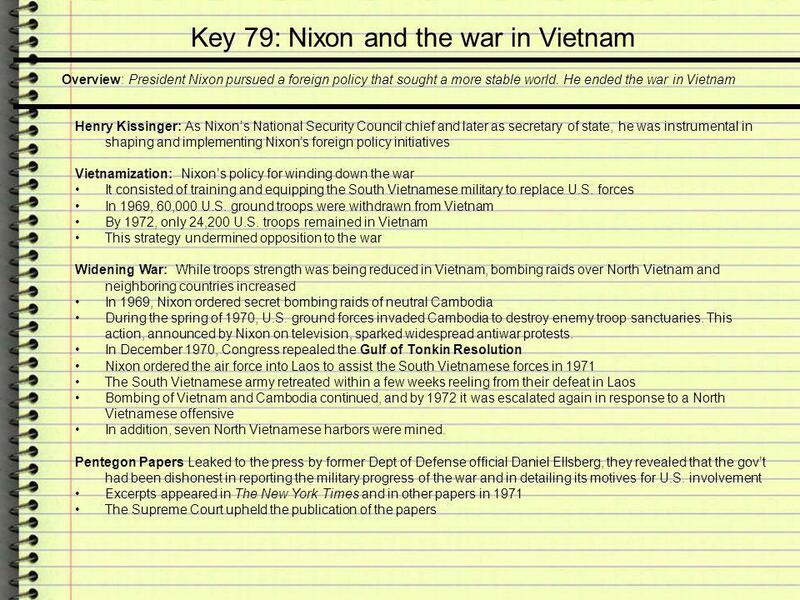 Warm Up Work on Common Vocabulary..
Richard Nixon Administration. 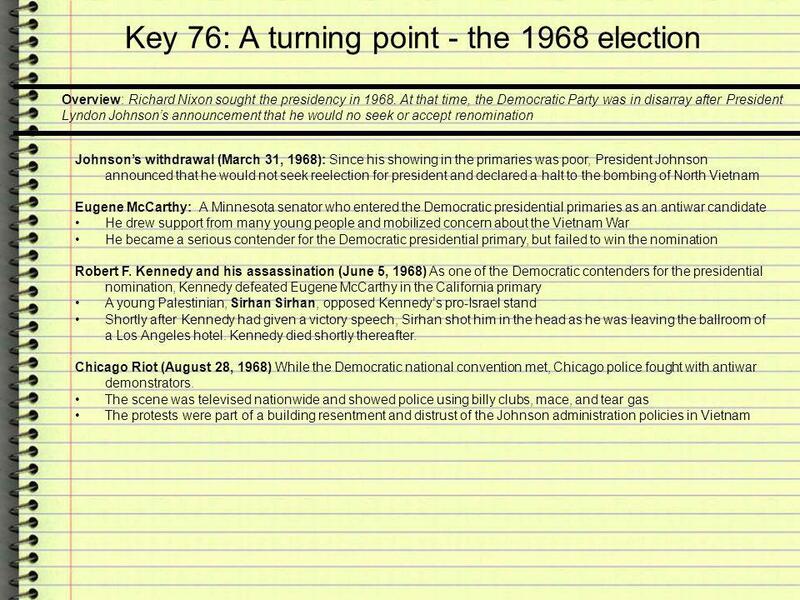 Aim: How did Nixon’s presidency impact Americans’ view on politics? Do Now: List 4 facts about the Cuban Missile Crisis. Nixon: Détente to Watergate APUSH. 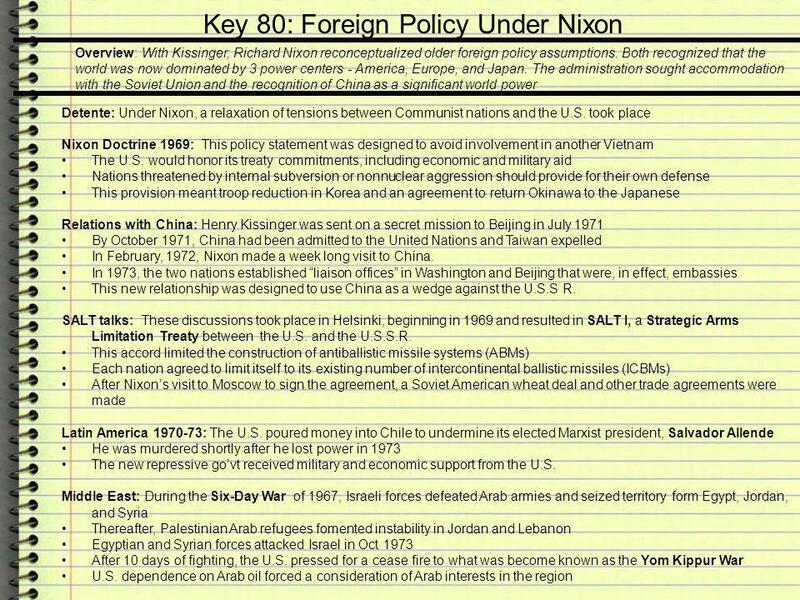 Détente  Nixon and Kissinger believed in realpolitik  Realpolitik  Realpolitik  basing politics and foreign policy. 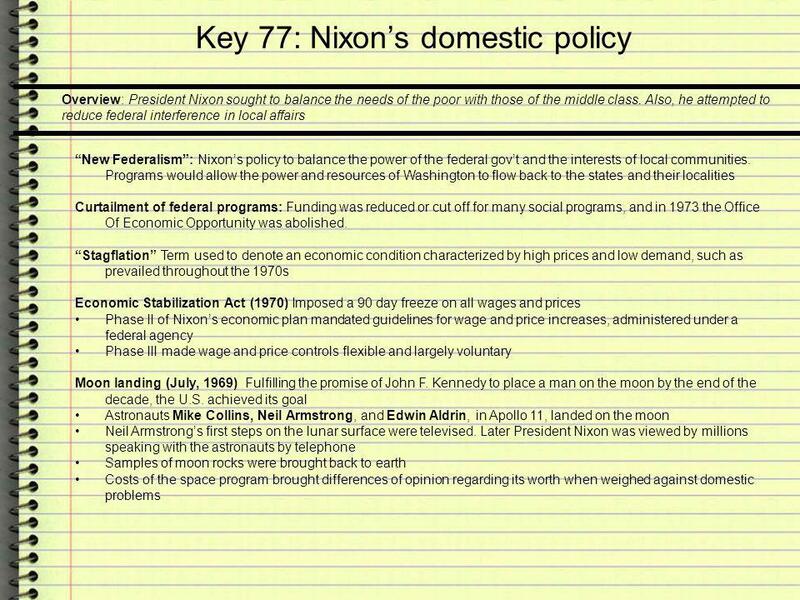 THE NIXON ADMINISTRATION POLITICS AND ECONOMICS. APPEALING TO MIDDLE AMERICA Many Americans supported the government and longed for a silent majority. 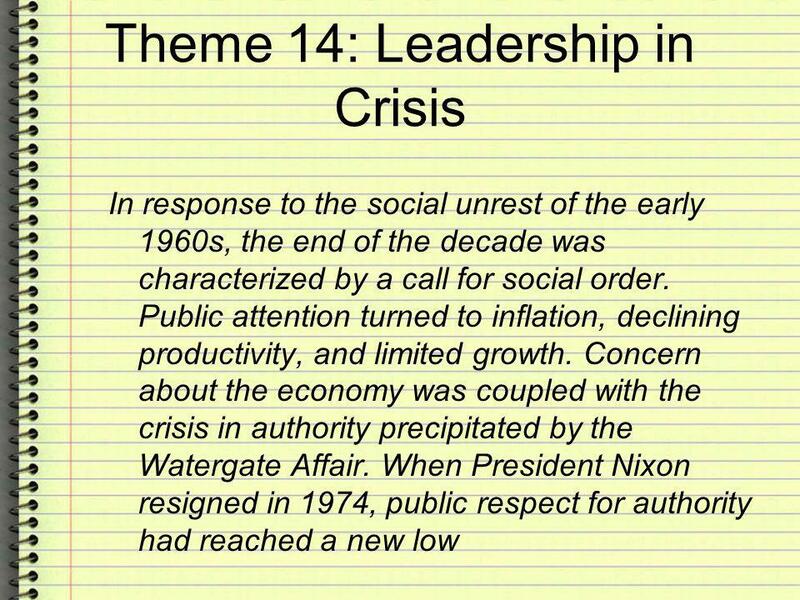 The Nixon Administration Chapter 27, Section1 By Mr. Thomas Parsons.